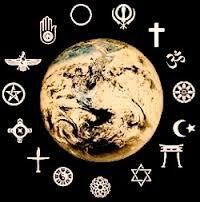 Religion is primarily said to be a set of beliefs, a belief in some unseen power i.e. God who is controlling the world and a belief in life after that. Philosophy of religion is concerned with much the same issues, but where Theology uses religious works, like the Bible, as its authority, philosophy likes to use reason as the ultimate authority. Mathew Arnold: Religion is nothing but morality touched with emotions. Immanuel Kant: Religion is the recognition of all our duties as divine commandments. Sri Aurobindo: The inmost essence of religion is the search for God and finding the God. William James: Religion is the feelings, acts and experiences of individual men in their solitude. We can say that religion is a belief in a power not ourselves which makes for righteousness and a desire to come into harmonious relation. Religion emphasizes the pursuit of some higher values which cannot be explained with the help of natural laws. Every religion gets its start from the teachings of a particular prophet. Every relation has its own scripture which is the sacred book for its followers who regards every part of its text as final authority. Every religion propagates a special mode of worship, fixes up a place of worship and sets up an order of priests for management of religious affairs. Every religion preaches a definite way of life and outlook based on a special philosophy of life which is different from one religion to another. Religion of basis of confidence and morality. Religion is based on emotions and beliefs. Religion is the basis of virtues. Religion is an inspiration of happiness and peace. Both religion and philosophy are normative in nature. Religion and philosophy are complementary. Philosophy is helpful in the development of religion. Philosophy interprets assumptions of religion. Religion broads the scope of philosophy. Philosophy and Religion are related as theory and Practice. Philosophy renders Religion more intelligible by explaining it. Religion provides religious data to Philosophy. Religion can complete the philosophical explanation of life. The aim of Philosophy and Religion are different. The problems of Philosophy are different from those of Religion. The attitudes of Philosophy are different from that of Religion. The methods of Philosophy and Religion are different. The activities of Philosophy and Religion are different. The nature of conclusion obtained from Philosophy and Religion are different. The effect of philosophy and religion on the individual and society is different. It is sometimes said that the study of philosophy being critical is likely to disturb our religious beliefs. This should not lead us into forgetting the intimate relation of philosophy and religion. Philosophy may be disturbing especially if the religious creed is narrow. But if it is broad and simple, philosophy strengthens it. Bacon said that a little philosophy inclined men’s mind to atheism, but depth in philosophy brings man’s mind to religion. Indeed, philosophy should help us to our fundamental religious beliefs on a solid intellectual foundation and so relieves us of much perplexity and doubt.